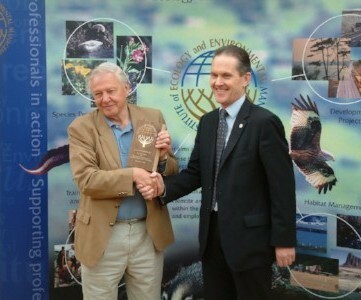 Since presenting their highest honour to Sir David Attenborough in 2006, the CIEEM Awards have celebrated the outstanding work of Ecologists and Environmental Managers across the UK and Ireland. Welcoming more experts to CIEEM's ranks has allowed the ceremony to flourish, providing an opportunity to recognise the incredible contribution that environmental professionals make to the profession and to the sustainability of the natural environment. “The future, as we know, is troubled. And it’s in your hands, and your expertise, and your persuasion, and your insight and your wisdom that the world is going to depend. I wish you the greatest success in years to come, because, my goodness, the world needs you”. The awards provide a chance to inspire the next generation, to recognise the skills of our peers and to remind one another why we’re here, doing what we do and striving every day to make a difference. This year's Awards Ceremony and Luncheon will be held at the prestigious Merchant Taylors' Hall in London on 27 June. The awards are split into several different categories, honouring both organisations and individuals working within the ecological and environmental sector.